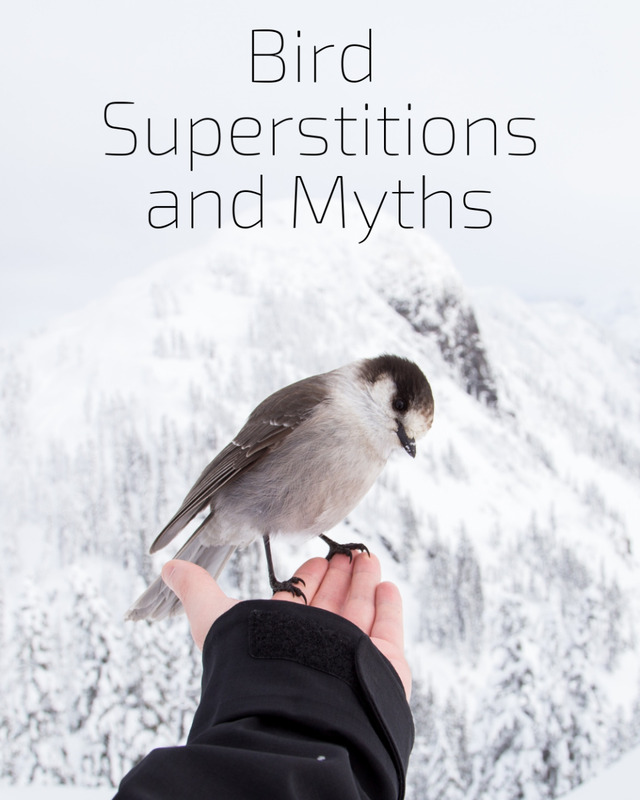 We tend to take the presence of our feathered friends very much for granted, so you may be surprised to find out just how many myths and superstitions there are around the world concerning birds. 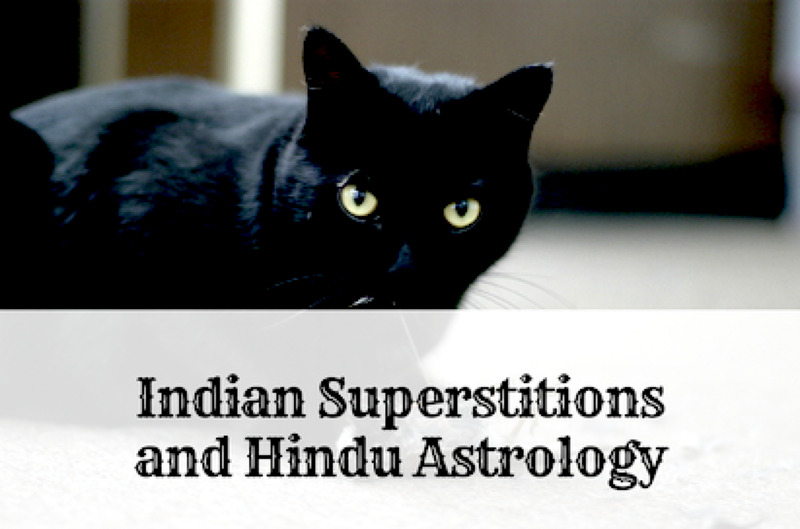 A lot of these superstitions involve luck, both good and bad. For example, many cultures believe it is an important sign if a bird flies into your home. Some view it as good luck, but some think it's bad. Below, you'll find guidance in interpreting the bird in your home. Since it is good luck that most of us wish for, it is widely regarded as being very lucky if a bird deposits its droppings on you—although you might not think so at the time! In my experience, it generally happens when you have a clean, ironed shirt on and are going somewhere fairly important. Even the direction a bird calls from has a meaning. For example, a bird calling from the north means a tragedy is on the way, while a call from the west brings good luck, one from the south means the harvest will be plentiful, and a call from the east means that you will find true love. So, lets have a look at some of that traditional bird folklore. What Does a Bird in the House Mean? Many cultures believe it is an important sign if a bird flies into your house. Here are some of the more common interpretations. Is it bad luck if bird flies into your house? Many believe it signifies that an important message is on its way. The bird is like a messenger from above, trying to get your attention and warn you to pay attention. Many people believe that it's a sign that someone is going to die soon, but others see it as a portent of some other kind of dramatic transformation. What color and kind of bird is it? If the bird happens to be white, it could mean that there will be a death of some kind, but perhaps not a literal death: a dramatic change, ending, or transformation might be in store. Scroll down to find out what other types and colors of birds might represent. What if a bird is tapping on your window? Some cultures believe that birds are the spirits of loved ones who have passed. Is this type of bird connected to someone you once knew? Could it be possible that one of your old friends or ancestors is trying to send you a message? What if a bird flies into your window? What if it hits the window? You may encounter an obstacle in your life soon. Keep your eyes open for hidden traps and barriers. What if the bird dies? If a wild bird flies into the glass and is killed or knocked unconscious, most cultures see this as a dramatic warning of things to come. Is the bird trying to get out? If the bird is struggling wildly to get out, flapping and bouncing against the glass, it could be a sign that you're trapped, too. In augury, the message depends on the type of bird. Below, you'll find information for how to interpret the symbolism of many specific types of birds. Ravens play large and important roles in many cultures' mythologies. In Greek mythology, ravens are associated with Apollo, the god of prophecy. Apollo used ravens as watchmen, messengers, and spies to learn what was happening in the world. The raven is the first species of bird mentioned in the Bible (After the flood, Noah releases a raven to find out if the waters have receded), and ravens are mentioned many times throughout, in both the old and new testaments. In the Qur'an's story, a raven is teaches Cain how to bury his murdered brother Abel. During Viking times, the god Odin was closely associated with ravens. In Norse mythology, he had two that served as his eyes and ears: They would fly out over the world to look and listen, then come sit on his shoulders and tell him what they learned. Ravens play important roles in the mythologies of the ancient Celts, Native Americans, Hindus, South Asians, and even Siberians. 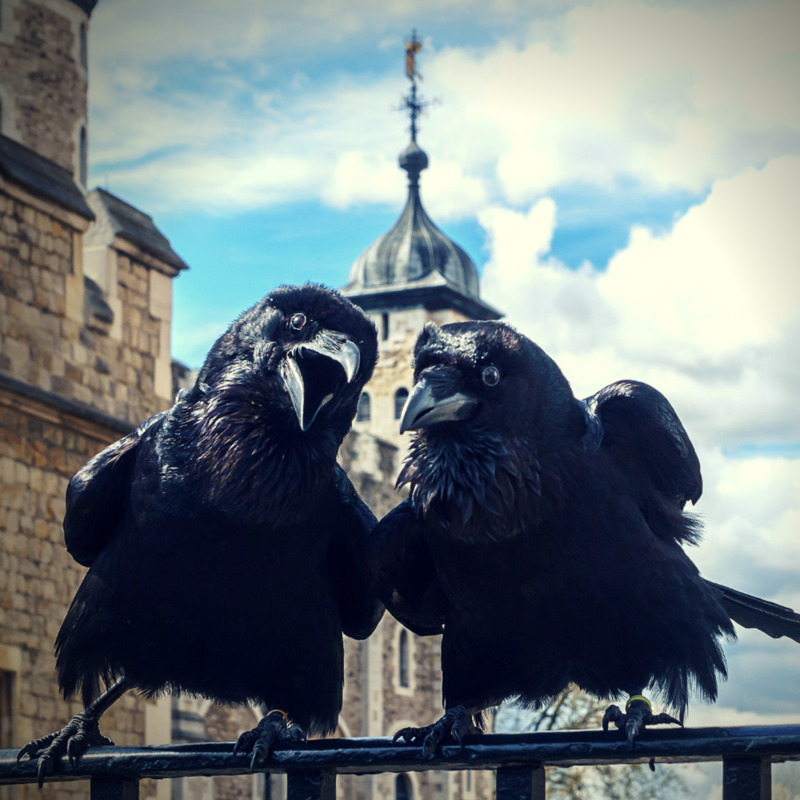 Ravens have long been associated with the infamous Tower of London. It is believed that if the ravens leave the Tower, the kingdom will fall and disaster will ensue. To this day, the ravens' wings are clipped to ensure that they don't leave the Tower. The care of the birds is paid for by the British government and one of the Tower’s beefeaters is appointed as Ravenmaster to care for the birds. The Ravenmaster looks after the fledglings in his home for about six weeks to build up a relationship with the growing birds. When they are fully grown, the ravens are comfortably lodged near the Wakefield Tower. The most dangerous period for the ravens in the Tower of London was during the Second World War, when many of them died of shock during the German bombing raids. There was one survivor named Grip. Before the Tower of London reopened to visitors in 1946, the government made sure that a new generation of ravens had already been installed to reassure the public that the kingdom was safe. Pelicans are regarded as birds that symbolise self-sacrifice and the love of a parent for their children. Perhaps this is because they store food in their pouches and then retrieve the food for their chicks when they return to the nest. This simple action may have been misinterpreted in the past... people thought that the pelican was making the ultimate sacrifice of tearing open its own chest to feed the youngsters on its own flesh and blood. Many cultures' mythologies include some variation on the story of a male pelican whose young have died or been killed. It is said that after three days of mourning and wailing, the father pelican kills himself so that the young pelicans can rise from the dead, hale and hearty. These stories were used as allegories during the Middle Ages of the Christ’s passion and suffering, especially of the wound that he suffered when a lance pierced his side. Thomas Aquinas wrote of the "Pelican of Mercy, Jesus" and St. Gertrude had a vision of Jesus as a pelican feeding the hungry with his blood. It was also thought that pelicans would only eat just enough food to keep themselves alive, so they also became associated with those who fasted and purified themselves for religious reasons. I have watched pelicans being fed, and I can assure you that this last pelican belief is not true! Robins, with their cheery red breasts, often adorn Christmas cards and decorations, and there are several stories as to how the robin acquired its red breast feathers. In the Christian tradition, it is thought that a robin tried to remove the thorns from Jesus’ head during the Crucifixion. His precious drops of blood fell onto the bird and stained his breast feathers red forever. In another myth, the robin gained his red breast from flying into the fiery wastes of hell to carry water to the stricken sinners who were suffering there for all eternity. It is believed that if they are seen tapping on the window or flying into a room, it signifies that a member of the household will die. It is considered to be very unlucky to kill a robin. So, if you break a robin’s eggs, expect something important of yours to be broken very soon. Make a wish when you see the first robin of the year for good luck. Also, if you see a robin singing in the open, good weather is on its way. However, if the robin is seen sheltering among the branches of a tree, that means it will soon rain. Lastly, if the first bird that you see on St. Valentine’s Day is a robin, it means that you are destined to marry a sailor! Are Peacock Feathers Lucky or Unlucky? It is often considered unlucky to bring the beautiful, iridescent feathers of the peacock into a house. This is because of the marking on the end of the feather that resembles an eye. It was thought that the eye on the peacock feather was a sign of the "evil eye" and that it would bring bad luck and ill fortune into your home. According to Ovid's Metamorphosis, however, the feather is a commemoration to the memory of hundred-eyed Argus, Hera's faithful watchman. When Zeus had Argus killed, she honored him in the peacock's tail full of all-seeing eyes. In the theatre, it is considered bad luck to have peacock feathers on the stage or comprising any part of a costume, prop, or scenery. Stories have been told of disasters occurring during a performance (such as scenery falling down) when peacock feathers have been present on the stage. But peacock feathers are not always unlucky. Peacocks are the national bird of India. They are often interpreted as symbols of spirituality or the third eye and represent vigilance, awareness, and protection. Doves have always been seen as significant religious and spiritual symbols. They are believed to be the one bird that the Devil cannot change himself into, and the one bird that is immune to the Devil’s curses. 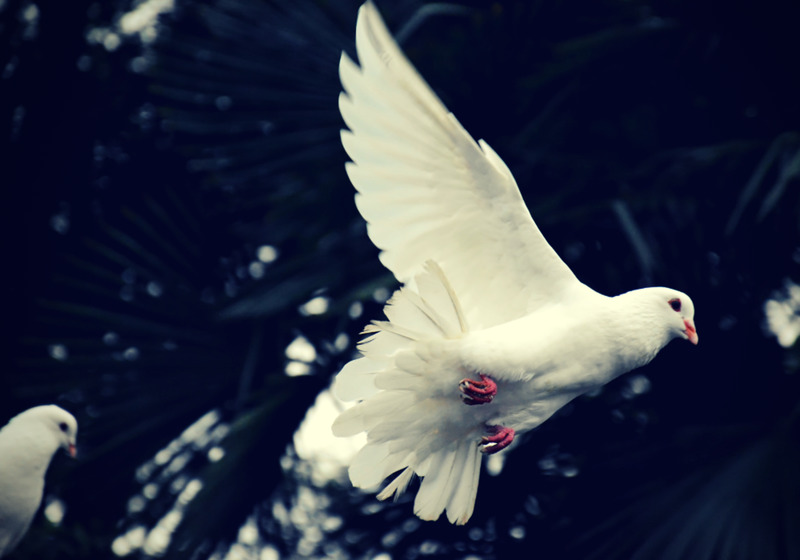 The dove is the Christian symbol for the Holy Spirit. Nowadays, it is also regarded as a symbol of international peace. Doves are also very much associated with lovers, and some couples have white doves released when they celebrate their weddings. This maybe is because doves are supposed to mate for life and be devoted to each other. Doves were regarded as the messengers of the Roman goddess of love Venus, and Indians regard killing a dove as unlucky, as doves are thought to hold within themselves the soul of a lover. A dove was also the bird chosen by Noah to fly off from the ark and search for dry land, and legend has it that a kingfisher was also sent. The kingfisher flew so high into the sky that its feathers became coloured blue from the sky and vivid orange from the sun. If I see a dove, what does it mean? Having a dove flying around or tapping on the windows of a sick patient's house signifies that they will shortly die. Miners also regard seeing a dove near their mineshaft as an omen that there will be danger if they descend into the mine. Many people confuse doves and pigeons (same family, different species). They do look similar, after all, so many of a culture's ideas about doves might also apply to pigeons. Because they live and multiply in so many places worldwide, and because they were once widely used to carry messages, pigeons have a firm place in the collective consciousness. If a pigeon poops on you, many would call that bad luck, but many others would call it a blessing. Considering how often pigeons poop on people, the latter interpretation is probably wiser. Sailors used to believe that if an albatross flew around their ship in the middle of the voyage, this meant bad weather and windy conditions were to come. It was considered to be very bad luck to kill an albatross, as sailors used to think that albatrosses were really the souls of departed mariners that were still restlessly flying over the waves. However, some sailors obviously did not believe in the albatross bringing bad luck if they killed them, as some used to use the feet of the albatross to make tobacco pouches! In 1959, the presence on board the cargo ship Calpean Star of a caged albatross destined for a zoo was blamed for the misfortunes that the ship had experienced on it voyage from the Antarctic. Many of the crew staged a strike because they felt that it was too risky and unlucky to continue the voyage. Then, on the Calpean Star’s return voyage to the Antarctic, she foundered off South Georgia after suffering engine failure. The ship was towed into Montevideo for repairs, but as she was setting off to resume her voyage, she sank on the River Plate. Was the poor old albatross to blame for the fate of the Calpean Star, by bringing bad luck? The word "albatross" can be used metaphorically to refer to a psychological burden that feels like a curse, as in "Unacknowledged racism became a political albatross for the government." Magpies used to be called the devil in disguise. It was said that if you saw a lone magpie around your home, it meant that the devil was trying to stir up trouble for you. In Scotland, it was thought that magpies were so wicked that they concealed a drop of Satan's blood under their tongue. Another reason why magpies have a reputation for wickedness is because they are said to have been the only birds who would not give Jesus solace as he was dying on the cross by singing for him. It was also thought that the magpie's black and white feathers meant that they refused to wear full mourning at the Crucifixion. How can you ward off a magpie's bad luck? If you live in the English county of Somerset, you could try carrying an onion around with you to ward off this trouble. Everywhere else, you could try saying "Good morning, Mr. Magpie, how is your wife today?" showing the devil that you recognise him, and thereby preventing him from causing any mischief. Another way to banish the evil demon is that if you spot a solitary magpie, doff your hat and cross your fingers. Or you could spit three times over your right shoulder and chant "Devil, devil I defy thee!" In Korea, the magpie has an entirely different reputation as it is their national bird and thought be a bringer of good luck. Seeing groups of magpies is said to allow one to divine the future. Magpies are like messages from above, and the number of magpies you see helps you determine the nature of the message. This idea inspired the rhyme "One for Sorrow, Two for Joy, Three for a Girl, Four for a Boy, Five for Silver, Six for Gold, Seven for a Secret that is Never to be Told." The term "black birds" might include any bird that is black (like crows or ravens) or looks black from afar. Simplistic interpretations often call all black things bad omens. That is probably because humans can't see in darkness, so dark things are more mysterious and confusing and so they're automatically assumed to be bad. But if you dig deeper, you'll find that black birds play the part of wise, intelligent, helpful, powerful friends to humans in many cultures and mythologies. Are blackbirds lucky or unlucky? If you see two male blackbirds perched next to each other, this means good luck. Also, if blackbirds nest near your house, you will be lucky enough to look forward to a whole year of good fortune. Black birds are also regarded as the messengers of those who have died. 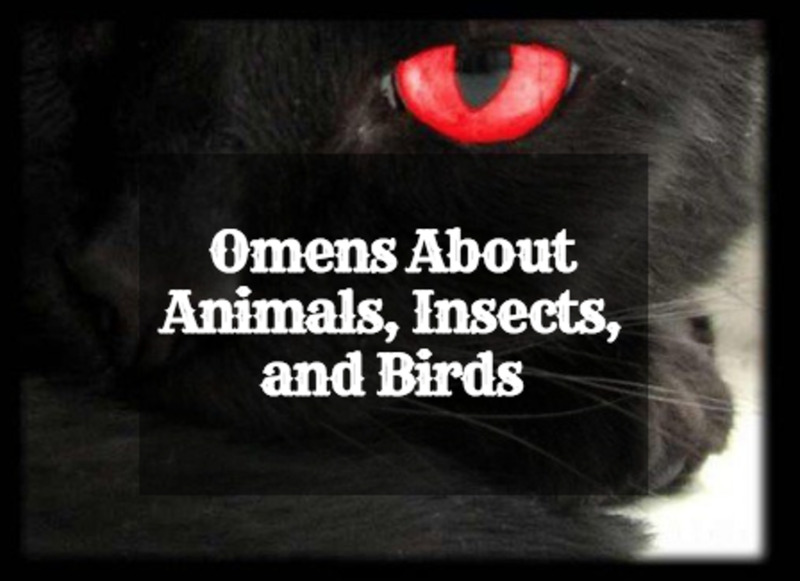 To find out more, read Birds as Omens and Signs. 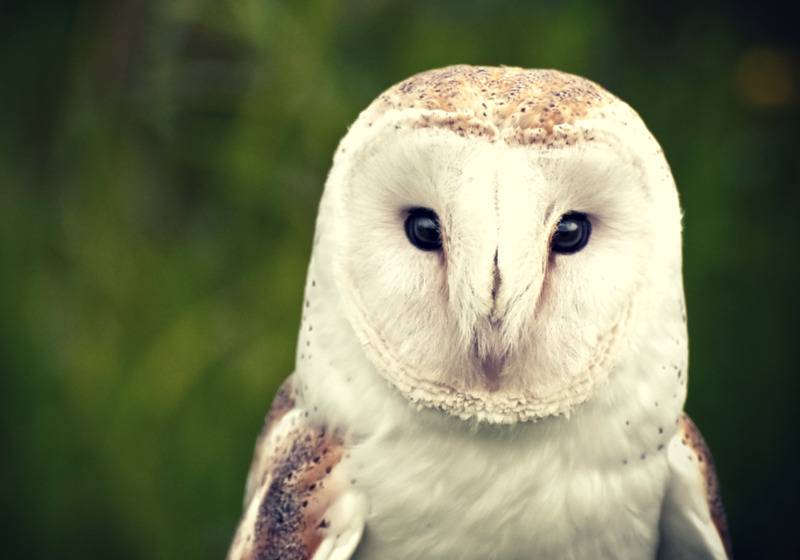 Owls have been featured in many myths and superstitions since ancient times. In some cultures, they are regarded as bringing good fortune while in others, they are thought of as harbingers of bad luck and even death. In Ancient Greece, the owl was thought of as a wise bird who was closely associated with the goddess of wisdom Athena. 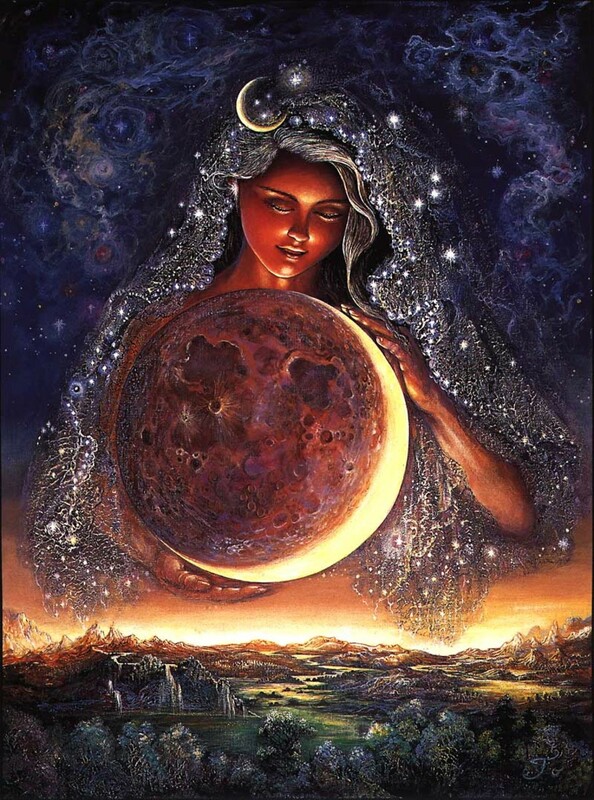 Athena was adopted as the patron deity of the city of Athens as she won a contest with the god Poseidon to provide the city with the most useful gift. She gave the city the gift of the olive tree, which provided oil, wood, and food. Athena was often shown with an owl perched on her head, so the owl became one of the symbols of Athens. The species of owl associated with the goddess was the Little Owl. During antiquity, many of them lived protected and honoured lives on the Acropolis. Birds generally are regarded as messengers between the world of spirit and our material world. So, because owls are nocturnal birds and fly in darkness, they have also been associated with witches and magic. It used to be thought that seeing an owl flying around your house portended a death in the family. The Romans also thought that hearing an owl hoot at night foretold an impending death. They believed that the deaths of several prominent Romans such as Agrippa, Julius Caesar and Augustus Caesar were predicted in this way. The famous Roman historian Pliny noted in AD 77 that the appearance of screech owls was always a portent of bad news. Therefore, these nocturnal birds were "most execrable and accursed." In Wales, hearing an owl hoot in the night was a sign that snow was coming or that one of the young girls in the village was going to take a lover and lose her chastity. Unfortunately for the poor owl, nailing the skin of one of these birds to a farm building is thought to bring good luck and protect from evil. Owls were also once used in traditional medicine — owl broth was eaten in the belief that it could help alleviate the symptoms of whooping cough. Eating owl eggs was reputed to help improve eyesight, avert epileptic fits, and even sober you up if you were very drunk. So, the next time that you hear a bird singing in your garden or tapping at the window, maybe you should check out what breed of bird it is. There is no doubt that these myths and superstitions were once widely believed, but will you take off your hat and cross your fingers the next time that you see a magpie? What Do Frogs Mean in Dreams? I had a Titmouse fly over and land on the top of my cell phone twice last summer. When I was sitting very still in a lounge chair, while waiting to snap a picture. I thought was sooooo amazing! It was hard not to smile a him. He was only about 10 inches from my face. We had the Georgia State bird Thrasher fly in our home, not sure how he got in but I opened the front door and he left. He did circle around our house for a minute and took off. What do it mean that a gray and white bird flew in my house. And stood at my bedroom door. For days now I have been having birds zoom past my head. Any meaning to that? Today as I was sitting on my back porch a female robin flew from the west and landed on the rail about 7 inches from my face and sat and stared at me into my eyes maybe ten seconds go by then I whispered what do you want to tell me then she cocked her head and stared for another few seconds then flew back to the west then was gone wow! What do you think? I seen a big white bird fly over the car one night. What does that mean? a blackbird flew into my house and out he went from front door straight through the back door.. what does this mean? One day my mom was putting clothes away in the room and heard someone knocking on the window. When she looked up she saw a white dove and pigeon flying close to the window and then flew away across to our next door neighbor house. When my mom got near to the window to look better the dove and pigeon flew toward the window and started scratching the window and pecking. She scream and yelled to me saying what she saw. At this time I was in the other room and then when I looked toward the window from the room I was in I saw the white dove fly by and leave. I yelled to my mom telling her they were in the side where I was and when she came into the room and got near the window the white dove and pigeon started scratching and pecking the window. They looked desperate trying to get inside our house. They flew away and we heard them singing. I felt really scared and started crying. Then me and my mom spent like 30 min searching for what a pigeon and white dove meant. Then after a time we saw the dove and pigeon fly by again and this time the dove only stopped by the window. My mom open the window and the dove flew away. After a while it felt like there was peace in our home. We went outside and there was peace and being outside felt empty. Like something was missing. What does it mean when a pigeon and dove try to get inside the house. Today a white dove flew straight into our conservatory and landed on the chair. I know the superstition that if a white dove lands on your ship you will get through any storm and we are going through some tough times. Do you think that has anything to do with it? I had a brown little bird fly into my house yesterday. It flew in a circle and out my door. What dose it mean??? I have a red cardinal that has been taping on my window with his feet for the last 2 year's. The last week or so he has been doing it a lot more. What does it mean? and why? How long does a cardinal live even seems like this has been going on a long time and I know it's more then him seeing himself in the glass. This is on an enclosed porch and it's a ground window. A brownish white owl flew in to my windshield while I was driving at night, glass didn't shatter, and owl didn't die but hit pretty hard. What does this mean for me?? Today a brown bird flew in my aunts house almost into my face.It came throw the door and flew out through a window. What does that mean please ? About a month ago i woke up to a bird flying around in my house.. there were no windows or doors open. Yesterday i awoke to two birds in my house with no windows or doors open. What does this mean. They flew out when i opened the doors. Birds inside usually mean a message. Maybe the message was only for your mother? Hi, my mother saw a little brown bird feeding on the carpet in the living-room right in front of the sofa where she was sitting. She called me and I looked, but I could not see anything. She kept insisting the bird was there, then admitted she did not see it any longer. What could this mean? A bird (not sure of type) was pirched on a sign above my head. Apparently it was injured however, a drop of blood landed directly on mmy forehead. Not exactly sure how much luck this may be.. it does have me a bit concerned.. any suggestions.. I have my computer under a window at work and everytime I go to my computer to work a bird starts hollering and I can never see it. What is the meaning of this ? just had a bird flying around in the house, no doors or windows open all day don't know where it came from or where it has been. Got into the kitchen to open the back door to let it out. phew. Hi, I had a tiny little light brown bird perch in front of me while I was sitting outside on my porch and it looked at me and turned it's head to one side and flew away and each time I was by myself. And this morning I was sitting in my chair and saw a tear drop roll off the tip of my elephant ear plant onto the floor. I couldn't believe it!! But I have seen stranger things!!! what does it mean when a sparrow is in your house? Hi I was sitting on my couch this morning and the front door was open. A small Finch flew into the house and sat on my ceiling fan a few seconds and chirped then flew back out. What does this mean? Please help me. I have been having major problems with robins on my car, pooping and pecking at the windows. I read this information and my heart when into my toes. I refuse to have regrets. Tomorrow is promised to nobody. Regardless, believe it or not, I love you and the kids. No need to respond or text me anymore.tside and saw a lightish brown bird fly out of my bush.....when I looked at my front window I saw 2 drops of blood on it.....but there was no dead bird....what could this mean?? I'm super nervous! I parked my car at this gym this morning and a white and black bird with long tail feathers and red to the sides of the head and chest sat on my car window after I open it, It chirped and sat for about 20 seconds then chirped and flew away. I felt a profound sense of peace. We were driving the other day & a small black & white bird with longtail feathers came and sat on my window, i have never seen a bird do this on a moving car, even when I moved the bird didnt budge it sat there for over a minute I couldnt believe what I was seeing. Any ideas on the meaning of this? I'm having the strangest things happening in my garden, in one day: black cat, a robin and a lone magpie.. Either I have the best food for them or something's trying to tell me something. I dreamed there were several birds surrounding me out in my yard. They were friendly, but in the dream I had bird poop all over my T-shirt. The birds were gray and white, some babies; not certain if they were seagulls. Been bothering me all day. July 3rd 2013 4pm I'm alone at my apartment when I saw a white dove come to my apartment. I made noises, waved my hands, stared at the dove ... nothing happened, the dove didn't move. LATER, I looked out the window and the white dove was still on the front steps, at 5pm. A little later, I looked outside and the dove was on its back, like it was dead. I went outside and the dove was upright and the dove's eyes were red and so bright. I cried and prayed. Early the next morning (6 am) I woke up and walked back outside. The sun was streaming through the clouds shining on the dove. The, the dove flew into the light shining through the clouds. It was powerful! I heard a bird knocking on my door earlier and I opened the door and it was there just looking at me then flew away it was a Carolina wren what does this mean? Hi from past 3 years I have been going through lot of problems health issues operation had accidents lost my mom sis lost job but I have been fighting my battle and been very positive. Also I had a heart break and he got married and have a child now. From past few months there have been 2 white pigeon and 1 white pigeon with black spot sitting in my window day and night. Can you please advise what does it symbolise. Other than that my boy friend who left me and got married is chasing me to get back to him. I am trying to figure out what is going on with me and why is the pigeons sitting in the window and staring inside my house. Recently, a pair of pigeons (or doves?) has been flocking around the house and may have built a nest nearby. We see them together in the front or back yard but not in the house. We have lived in this house for 10 years and this is the first time. Could this mean anything? My mother-in-law came to live with us last month and will be here for another 4 months. 2 birds flew into my room. 1 bird stood at the door, but when it saw me it flew back outside, that bird was at least 15-20 feet away from me...A second bird entered my room, and when it saw me it flew up, flapping its wings at me before finding a window to fly out from. The second bird was less than 10-15 cm away from me. Very close I'm sure I could have touched it with my hands without reaching to touch it. Does this mean anything or not? 2 weeks ago a little red bird began chirping and pecking at my bedroom window at 7:15am. He did this every day for a week almost like he is slamming his head into the window. Now he is going all around my house to every window all day if I go outside he flies away butbut comes right back. Some are saysaying there is good luck coming my way (which righright now I really need) and others say it is someone who has passed that is trying to contacthe me. Can you help me understand why he will not leave. A bird landed on my hat yesterday and tonight a bat did ! What does this mean? Nothing has changed in the roof. No blocks. We are having minor renovation, but this is not the first time. We had renovation done few months ago too, but the birds were still there. So now they are no longer there, it seems funny as they were staying here for long time. Hi Sandra, has something changed up in your roof? Has a hole been blocked up or their access denied in some way? Pigeons used to live in our house roof for years now. But lately (few days ago), they are all gone. Is this a sign about something? Last night a small bird entered in my house and settled waking up in the morning it was missing. What does that mean? A really interesting read, and a good summary of many superstitions; a lot of which I hadn't heard of. So thank you! In the UK there is another superstition with birds. If a bird flies into a room, or if a magpie lands on a windowsill, it is said to be a portent of a death in that house. A friend of mine described how she worries about the latter more than ever now. A magpie landed on the windowsill of her house, and sadly that day her dad passed away from a heart attack. There's another one with robins that describes they are deceased family members or ancestors come to say hello. I have two Doves on my frontt porch in a basket with two eggs as well.I also have one pecking on my kitchen window.What do You think about that?They are Mourning Doves. Today is April 13 around 2:40 p.m., CDST, and I was swinging by to see your hub again and there it was . . .the last comment I left. Now I am leaving this one for you. You are a very talented writer with a lot of insight into your subjects. Talent and insight are the two key ingredients in making a great writer. Hi me and my family walked out of our front door and this beautiful white bird was just sitting there what does this mean!!! I know that I left you a comment on this hub a day or two back. But tonight, Sept. 14, it is gone. What do you imagine happened to it? Well, at any rate, I loved this hub, the graphics and text were great. Glad you found the hub interesting Anne. Thanks for reading and leaving a great comment. Remember, no peacock feathers in the house! Thanks for reading the hub Clovis, but can you clarify what you mean by mourning doves? The dove superstitions, do they apply to mourning doves? Very interesting stories about birds here. I knew only about the albatross and the dove. Wow a brilliant hub and your obvious hard work certainly paid off; voted up and shared. Thanks heidithorne. The research on birds being descendants of the dinosaurs is fascinating, especially that some dinosaurs probably had feathers. What I find most interesting about birds is that there is speculation that they descended from dinosaurs, making them very ancient indeed. So it's no wonder we have such a fascination with them. Beautiful hub! Thanks for reading the hub Dolores and the vote and share. Birds do indeed get a lot of blame for our misfortunes. I suppose all it took was someone to remember that a bird had tapped on the window around the time a family member died for a connection to have been made and the superstition to have taken root. Hi David, I don't know about the geese. But it must have been wonderful to watch, so you are very lucky. Thanks for reading the article. Hi Sheila thanks for reading the hub. Maybe this bird has a message for you? Or maybe it is hungry? Do you have a bird feeder in your garden? Thanks for reading the hub Wiccan Saga and I'm glad you enjoyed it. I think a lot of old superstitions were based on something our ancestors observed in their daily lives, so maybe in ancient times bringing peacock feathers into a house increased the chance of disease or something. Really, really cool. I love reading about different superstitions and beliefs like that. I love peacock feathers, who'd have ever thought they were such 'bad luck'. I must admit I do get a little nervous when a raven does something odd around me, I always worry about the disaster omen. I don't know if any is true but it's always interesting reading. Great hub. What does it mean when a red bird comes to your door and sits there for a while and chirps at the door? It has been doing it for 3 days now. Hi Jade thanks for reading the hub and leaving a comment. Is there something on the door attracting the woodpecker? Is it wood, or does it have places where insects can hide? My dad had a woodpecker knock on his front door what's that mean. Thanks for reading the hub Brittany. Were the birds gathering because of the time of year? Was there a food source in your garden that was attracting them? Maybe a bush that had fruited or had berries on it? Bird superstitions are interesting, but I think it is wise to look for answers in nature first. So had a question i looked out my front door and saw eight cardinal birds and one blue jay in my front yard.. thought it was really strange, ive never seen that many at once.. just wondering if that means anything? Hi Liz, Sammie946 and Aki - thanks for reading the hub on bird superstitions. Birds coming to a house are thought to be messengers in folklore, but in the natural world it is more likely that there is something in the vicinity of your houses that is attracting the birds there - food, good nesting sites etc. Of course in the case of being brought in by a cat, the poor bird was just unlucky to be caught! It might be hanging around because it does have an injury or is there a good food supply?